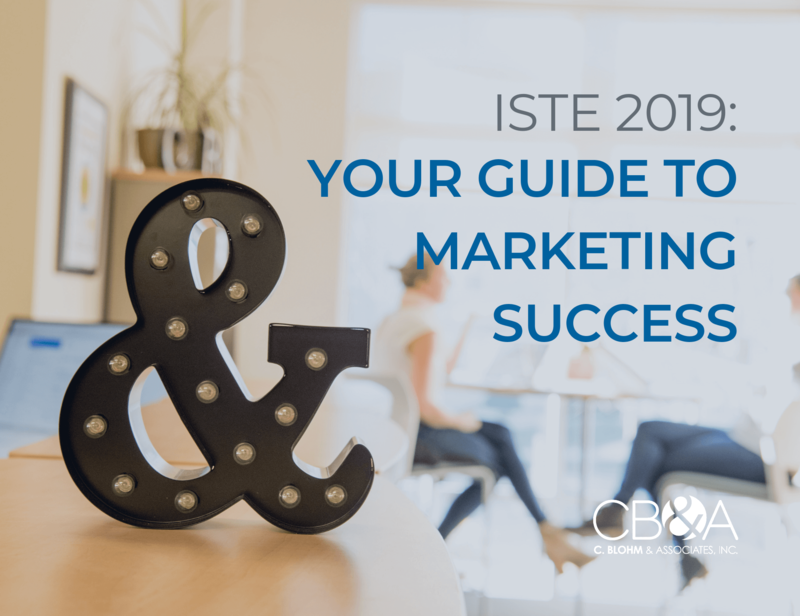 CB&A's ISTE 2019 Marketing Guide is filled with education marketing strategies to help you attract leads, close sales and maximize your ISTE investment. We're frequently asked: When should I start planning for ISTE? No matter when we're asked, the answer is always: Right now. The sooner you get started, the easier your life will be later – and the more likely you'll be to exceed expectations. Our comprehensive guide explores the ins and outs of ISTE 2019 from a marketer's perspective, taking you step by step through planning, execution and post-conference activities. Companies that see the best results from ISTE create detailed plans. Our guide will get you started with ideas for what to do before you come out to Philadelphia, what to do while you're in the city of brotherly love and what you must do after the conference to leverage the relationships you made during the week. Some marketers have questioned the value of big-ticket conferences. We believe there's still value to find – if you know where to look.